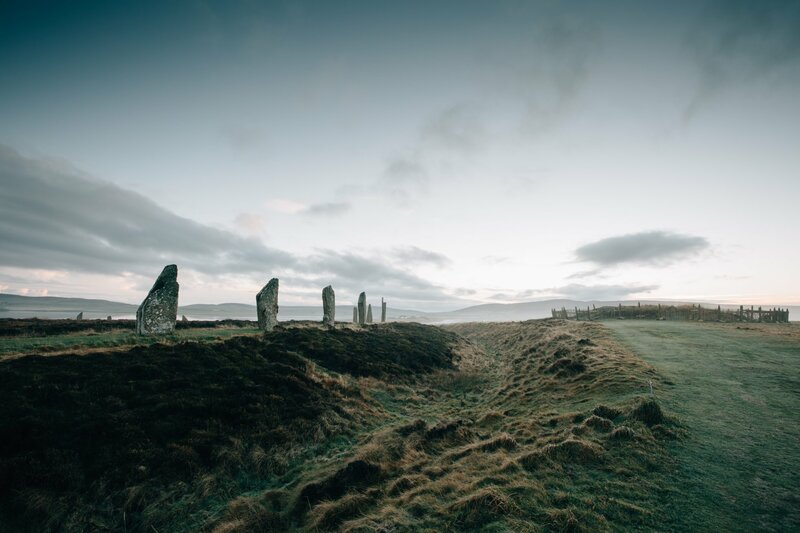 Writer and local archaeology student Sigurd Towrie continues his special look at all aspects of Orkney's ancient history. 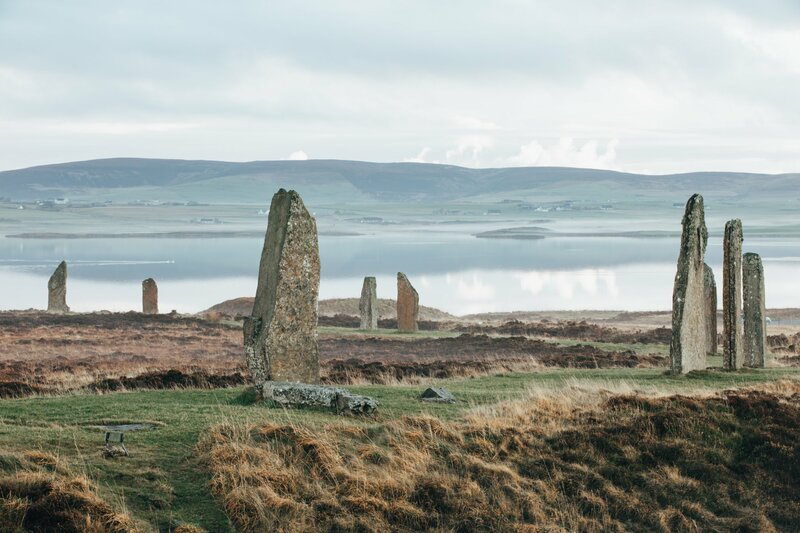 Was there an earlier name for the Ring of Brodgar? An Orcadian name that preceded the antiquarian title introduced in the mid 1800s? After years of pondering this, it seems the answer might have been under my nose all the time! 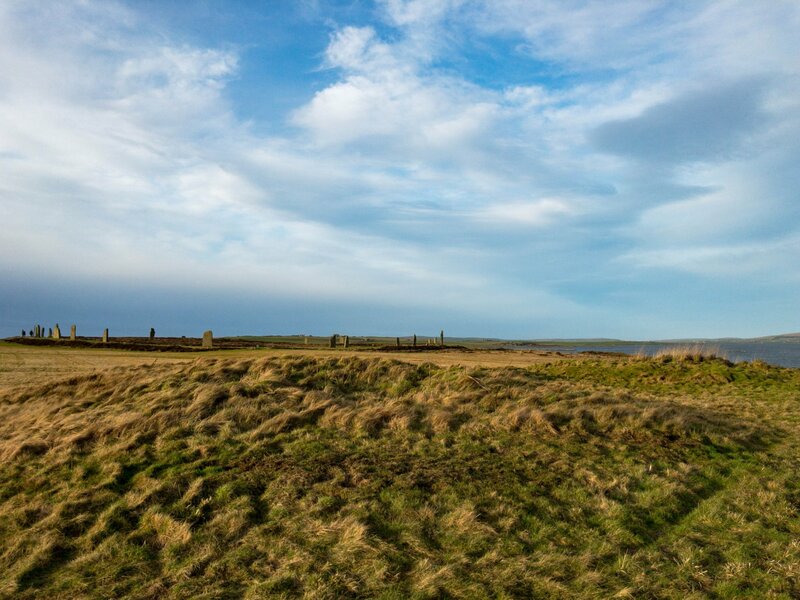 Until the 19th century the Brodgar ring was lumped in with the rest of the area’s megaliths and all known collectively — to antiquarians and mapmakers at least — as the “Standing Stones of Stenness”. 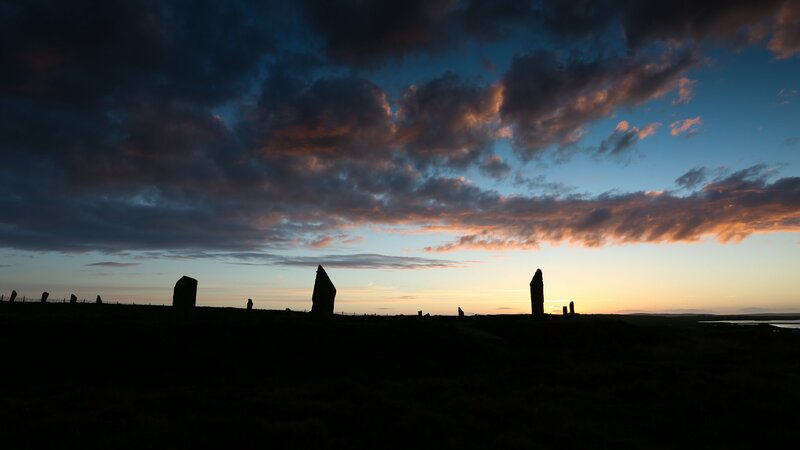 It was in 1851 that the name “Ring of Brodgar” was coined by Captain F. W. L. Thomas 3 to differentiate between the two stone circles. The “lesser” he dubbed, “for the sake of distinction”, the “Ring of Stenness” while the “great Stenness circle” became the “Ring of Brodgar”. It took a while — the OS maps still referred to the “Standing Stones of Stenness" in 1882 — but Thomas’s name stuck. 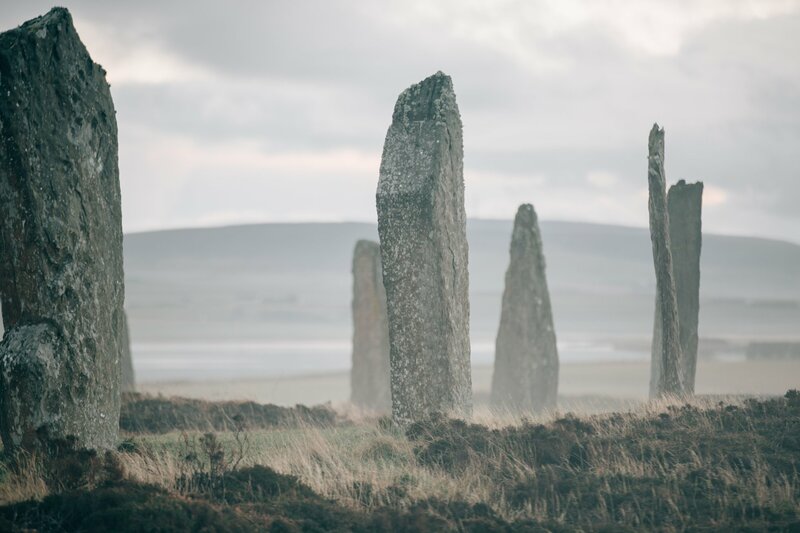 But it seems the Ring of Brodgar did have a name before Thomas — one which was eclipsed by the renaming process, presumably because it had been all but forgotten by the time of the captain’s visit. I first stumbled across it in 2012, in a transcription of a talk given by Yesnaby man George Marwick in Quoyloo. Addressing members of the Young Men’s Mutual Improvement Association in 1890, he declared: “I suppose this wonderful circle of stones is known to most of you […] its old name [is] Howastedgarth." Intrigued and delighted I read on — but with every sentence the excitement waned. Although Marwick appeared to be recounting elements of genuine Orcadian tradition, these gems were hard to identify, given the volume of utter nonsense swamping them. It’s one thing separating wheat from chaff, but in this case both were buried beneath a thick layer of metaphorical dung! I soon learned that Marwick’s flights of fancy had earned him a poor reputation among scholars. To the editor of Ernest Marwick’s An Orkney Anthology, George Marwick’s unpublished folklore4 was “generally regarded as suspect.” Ernest Marwick himself highlighted “the absurdity of much of [the Howastedgarth talk’s] philology and [the] speculation characteristic of its period”. After trawling through mangled etymologies and some highly dubious interpretations, I concurred with his critics and filed the article away. At best George Marwick was mistaken. At worst, he had made it up. Roughly translating as Havard’s rig (where a rig is a strip of cultivatable field), Havardsteigar was surely behind Marwick’s Howastedgarth. 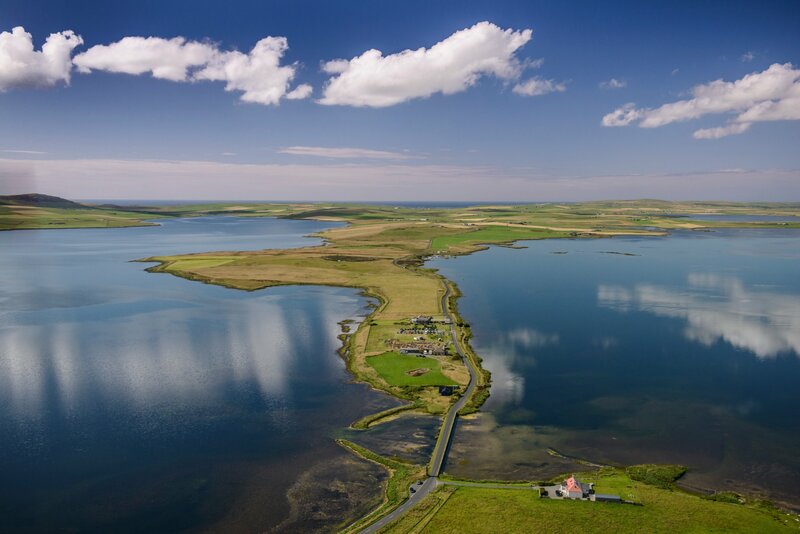 Unfortunately, other than saying it was in Stenness the saga gave no clue as to its exact location. 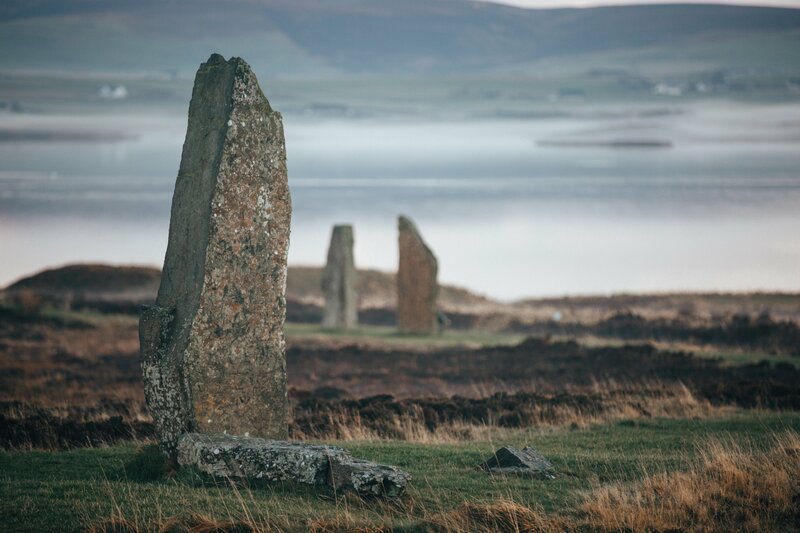 Captain Thomas, however, surveyed Orkney in 1849–50 and was in no doubt that the mounds surrounding the Ring of Brodgar were “the tombs of the early Scandinavians”. 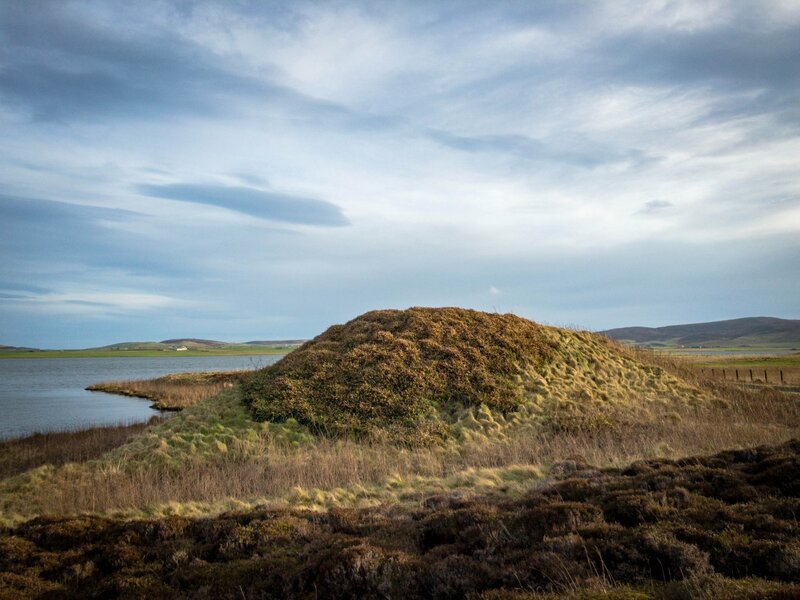 Citing the saga account of Havard’s demise, he said it was “very probable that Earl Havard was buried beneath one of the Stenness tumuli.” This was repeated by contemporary writers until, in 1854, the discovery of cremated human remains in the so-called “Plumcake mound” — a short distance to the north-east of the ring — was taken as confirmation. 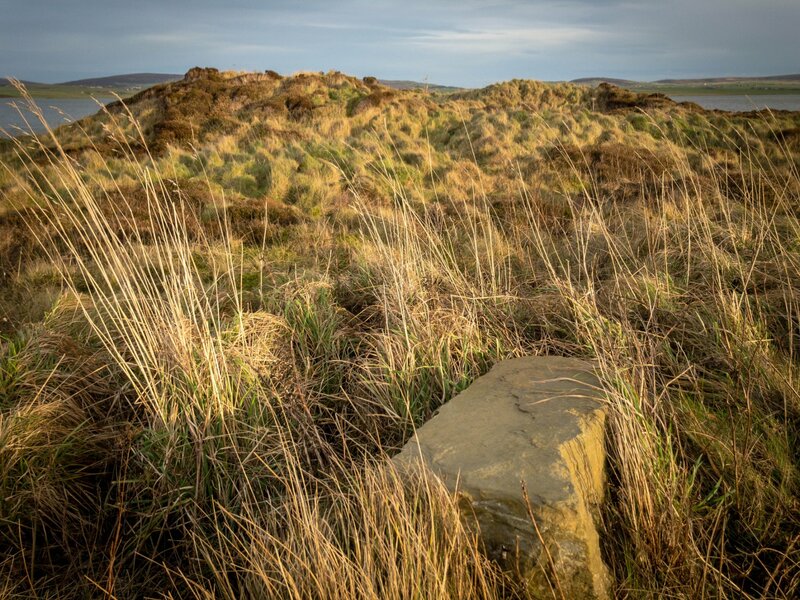 We now know, however, that these were Bronze Age remains and that no evidence of Norse burials has been found in the vicinity of the stone circle. Written centuries after the events it portrays, Olaf’s saga is as much a piece of literature as a historical document. While it can’t be relied on to be an accurate account of genuine events, whether the Stenness battle actually took place is not important. What the saga shows is that a Havardsteigar placename existed by the 14th century and that the writer(s) associated it with Earl Havard. Returning to the antiquarian accounts, we see that although this name (or a version of it) survived until the 19th century, it was falling out of use. In 1849, the Norwegian historian Professor P. A. 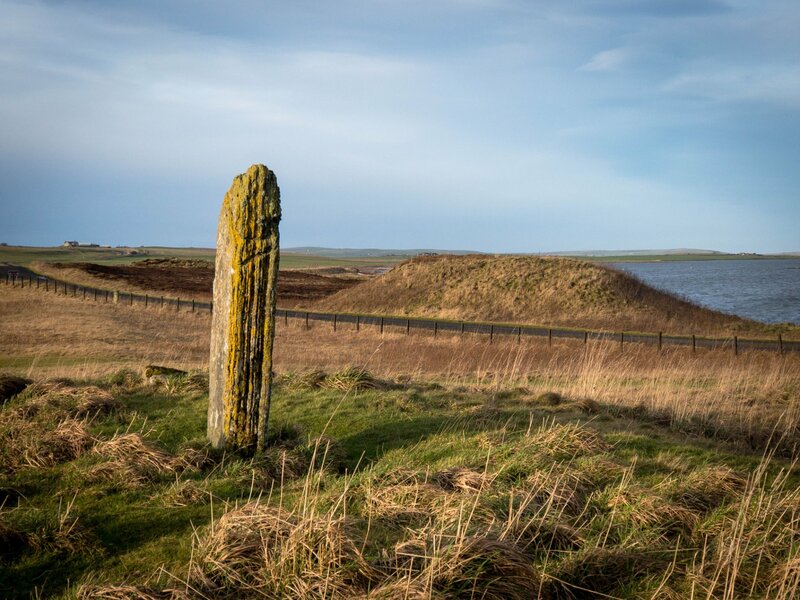 Munch was “gratified … that the name … [was] still applied, among the peasantry, to the promontory of Stennis.” Fourteen years later, the Orcadian George Petrie confirmed it was still “occasionally used," but again to refer to “the promontory” — presumably the entire Ness of Brodgar. 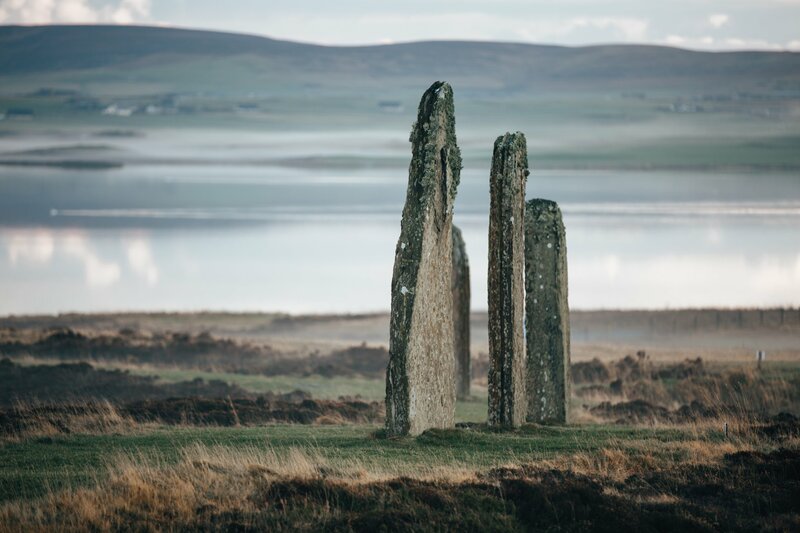 Neither account gives the surviving form of the name but Gorrie’s Summers and Winters in the Orkneys (1868) does: “Old people still can remember when the plain round the standing stones was called Howardsty or Howardstey”. This version is also given in Collingwood’s Scandinavian Britain (1908), where we are told Earl Havard perished at “Howardsty, near the famous stones of Stennis”. But to George Marwick it was definitely the ring that was “formerly called the Howastedgarth”. His version is probably due to the fact he was talking decades after we know the name had started to disappear. 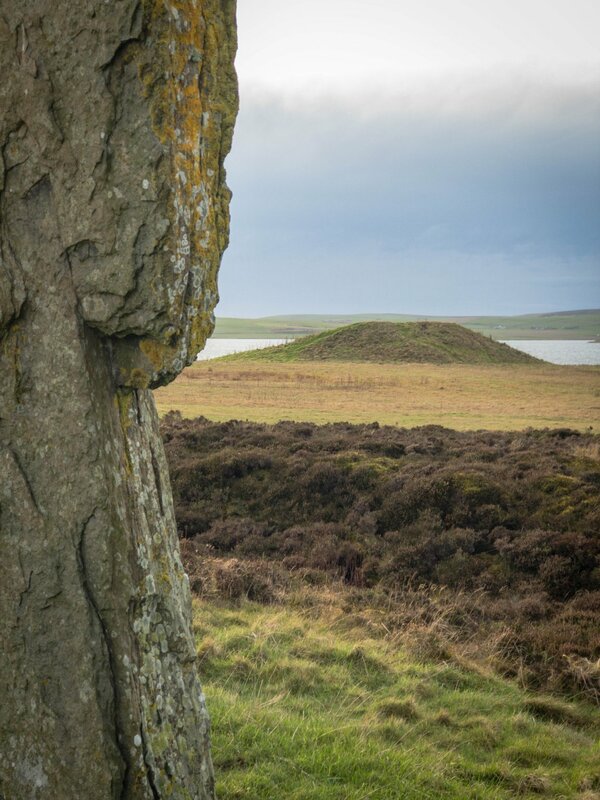 That he interpreted the final element to be gar∂ [garth] is clear from the fact he repeatedly referred to Brodgar as “Brodgarth” in the same talk5. This is typical of his tendency to ”clean up“ placename pronunciations — often to suit his more outlandish etymologies. In this case he concluded that Howastedgarth meant ”the standing enclosed circle of the sun". I’m afraid not George. Eytmologies aside, however, this Howastedgarth excursion is the latest in a series that has led me to think that George Marwick’s tarnished reputation is perhaps undeserved and to dismiss his all his work as nonsense is too harsh. As an end-note to this ramble, given the number of “howar” placenames — meaning “mounds” — in Orkney, I can’t help but wonder whether Howastedgar/Howardsty has anything to do with good old Earl Havard at all. But that’s maybe something for another day. 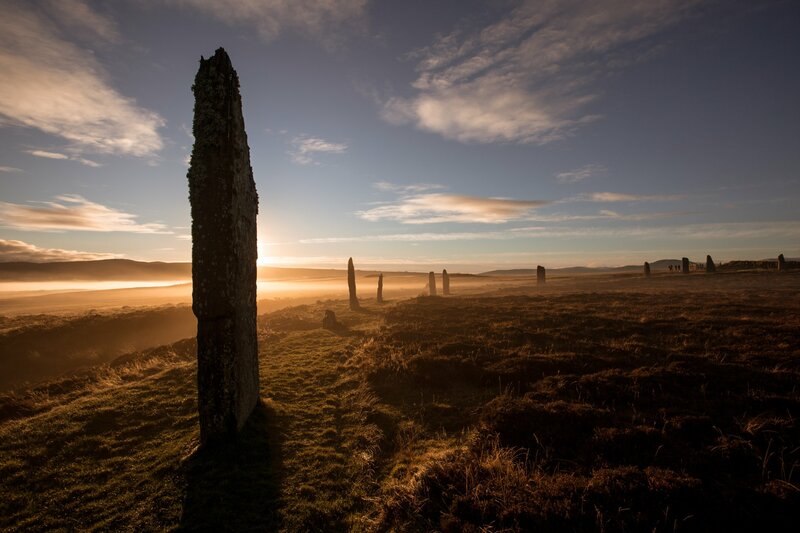 Posted on , Life in Orkney, Culture & Heritage, Culture & Events, History, West Mainland, by Sigurd Towrie.